» Portfolio » Conditioning of the TV-3148 road from Vila-seca to la Pineda (Raval de Mar) Vila-seca stretch, Tarragona. Spain. 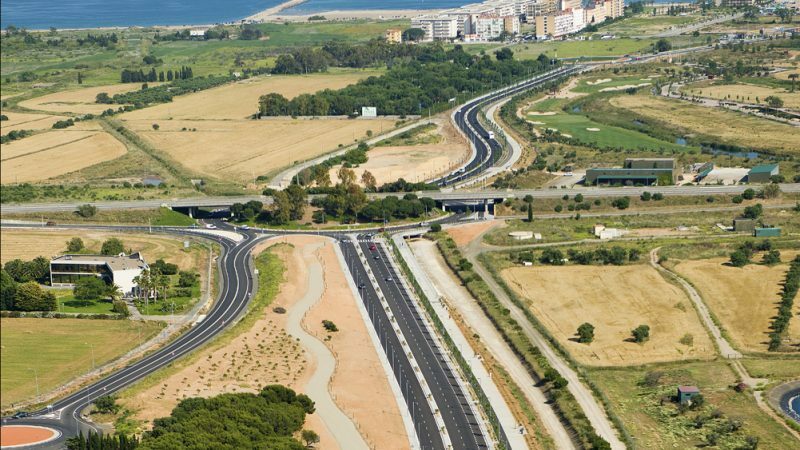 Conditioning of the TV-3148 road from Vila-seca to la Pineda (Raval de Mar) Vila-seca stretch, Tarragona. Spain. Improvement of the features of the present road both from the traffic capacity point of view as that of traffic safety, and on the other hand give it a city roadway treatment in order to convert it into citizen’s connection for pedestrians and cyclists between the towns of Vila-seca and la Pineda. The project segregates the heavy traffic, pertaining to the petrochemical industrial estate in the area from the main backbone by means of a specific roadway for this type of vehicles. The first stretch is very short and it leads from the Vila-seca town centre to the overhead roundabout on the A7 motorway. No work is done on this roundabout except for a pedestrian walkway and the access ramps. The second stretch leads from the A7 roundabout which we exit using a road configured like an urban highway with two lanes in each direction and the segregated branch for heavy vehicles with one lane in each direction, to the Piconadora roundabout under the C-31B. 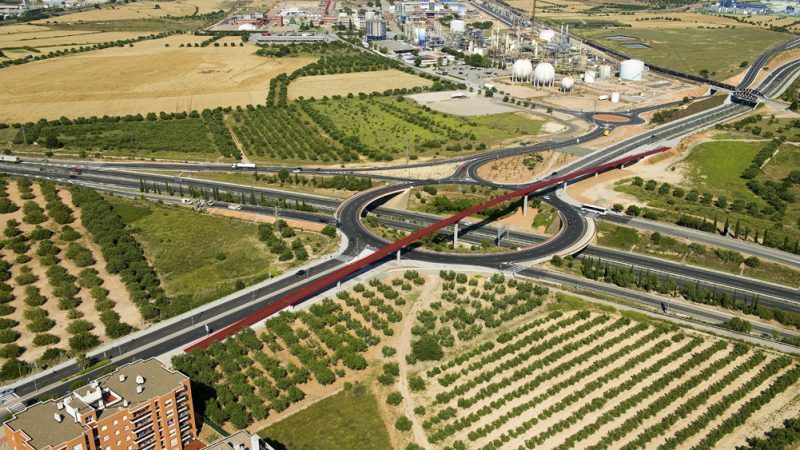 Its characteristic points are the bridge over the urban reserve for a future railway branch line which is to be expanded and the underpasses under the Renfe railway line by means of two bridges, a new one with a greater span which the main backbone will cross and a second one over which the heavy vehicle roadway will pass that will be an expansion of the existing pass. In order to keep the accesses to the different existing links, roundabouts with different diameters are used, depending on their location on the main backbone or roadway for heavy vehicles. 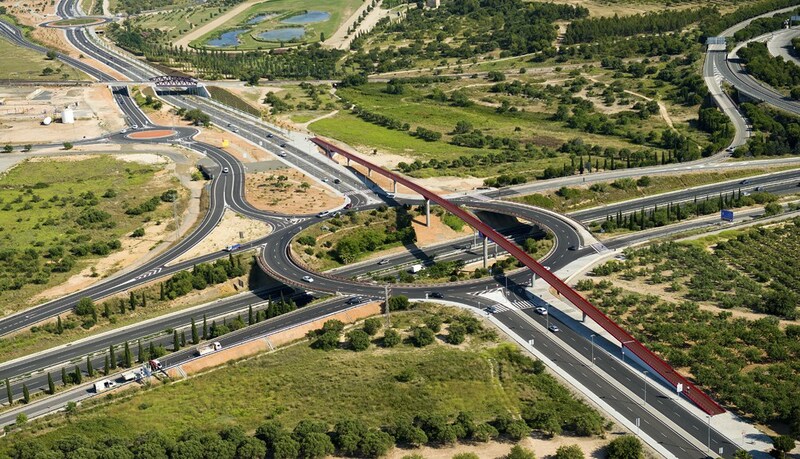 To the right of the backbone these is Torre Dolça park, a racetrack and the grounds of Port Aventura and the “La Boella” runoff canal that will have to be adapted to the route of the backbone and covering it in its intersection with the planned roundabouts. To the left we have the grounds of the petrochemical industrial estate and the sanctuary of Mare de Déu de la Pineda. The last stretch leads from the Piconadora roundabout, where the road for heavy vehicles ends to the town centre of la Pineda with the same urban highway section, joining up with a roundabout in the access link to the North Port Aventura golf course on the right and the La Pineda camping site on the left, alongside which the wall the wall is planned. Another new roundabout has been planned at the end of the backbone to link up with the existing town centre.